The listing of Felda Global Ventures Holding should rightfully be an event that will bring great joy to the Felda settlers, but could there be a fly in the ointment that we are missing, that can turn what should be tears of joy into genuine tears of sorrow and grief....? The numbers are now being crunched by PwC Malaysia, in preparation for the listing of FGVH, and therein lies the problem. Will institutional investors trust an audit done by PwC Malaysia? Will any investor worth his salt trust an audit done by an audit firm like PwC Malaysia that fabricates documents and submits them in a bundle to a Court of Law? Is it worth risking the future of thousands of settlers and their families, when the proof of fabrication comes out in open court, and the forgers are found to be the very same chaps running the audit firm behind the Felda listing? PM Najib, please get Johan Raslan and Co to issue a public denial that they have ever fabricated documents within the next 48 hours. A chain is only as strong as its weakest link, and in FGVH's planned listing, the chain is weakest at the point where PwC Malaysia have been allowed to play a role. With a litany of misdeeds longer than Yao Ming's arm, how can they have been picked over proper and reputable firms like Ernst & Young or KPMG to do the audit? The interest of the Felda settlers has been compromised, but it is still not too late. If Johan Raslan and Co refuse to issue a public denial that they have fabricated documents in the next 48 hours, get them to step down and place an untainted audit firm to continue with the work. Ask Johan Raslan and Chin Kwai Fatt to deny that Document 41 in the first bundle is a fabrication. Ask them to publicly deny that Chin Kwai Fatt's email in the second bundle, which contradicts his own witness statement, is a fabrication. Ask them why Chin Kwai Fatt, Johan Raslan and VU KUmar just sat mutely at counsels' table, while their counsel was busy misconstruing their instructions? Can we honestly say that the listing of Felda Global Venture Holdings will not be affected when the news comes out that the auditors behind the listing are guilty of fabricating documents as a part of their legal defense strategy? 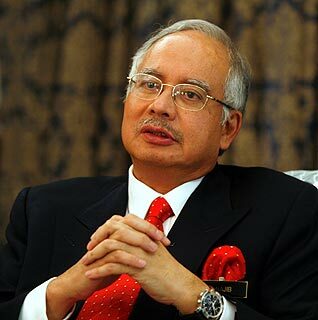 PM Najib, we, the group of six behind this blog, are fully behind you, but we must ask you this painful question. Can you risk having the misdeeds of PwC Malaysia and Johan Raslan costing you crucial votes in GE 13? Can we risk having the Felda settlers angry with the outcome of the listing simply because investors everywhere start hearing caveat emptor whenever someone whispers PwC Malaysia into their ears? PM Najib, it all boils down to the simple question of whose interests are more important. That of the hardworking Felda settlers, or of the crooks who walk the halls of PwC Malaysia.